Maybe it seems that Csejtey is an unknown name in the underground but the members are not newcomers in the metal scene. Founding members are the older Csejtey brothers whom were played in the cult hungarian death metal band Extreme Deformity between 1990-1993 then played in the internationally well-known atmospheric black metal band Sear Bliss (the guitarist Csaba still plays in Sear Bliss!). This band was formed in 2006 and the brothers were joined by Noctis (ex-Ater Tenebrae, Witchcraft, Hell) on bass/vocals. They worked hardly on their debut which was out begin of 2010 as pro CDR by the band. This MC is the official tape-release of that stuff and including 3 songs (cca. 21 min) of experimental, atmospheric black metal which maybe can be compared to old Limbonic Art and Sear Bliss. So you can expect great songs with unique melodies and structures and cool sound with real drums! The bandname Csejtey is the real name of the founding Csejtey brothers, it's probably an old, middle-age hungarian name and maybe it comes from Csejthe which was the castle of well-known hungarian bloodsucking countess Elizabeth Bathory! Their lyrics are dealing with H. P. Lovecraft's books and in general with cosmos... 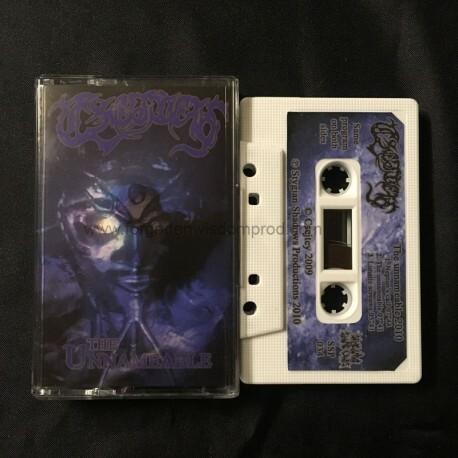 The tape is limited to 155 copies only.